Joel Mark Witt is a speaker, writer, and digital media entrepreneur with a focus on personal growth and transformational leadership. 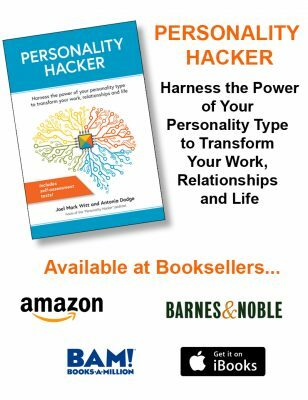 As the Co-Founder and CEO of Personality Hacker, he oversees a new kind of publishing company that merges digital media with emerging models of human development focused on helping people "hack" their personal growth journey and create more happiness in their lives. – Firstly, I remember deadly a lot. Starting from 1.5yo (33 yo. now). All valuable moments. – Basically I have the same feelings about my memories, as you do about albums. I feel it’s important somehow, I feel it’s something special and should be cared and replayed from time to time. – Another interesting moment about my memories. They almost have no direct bad or good emotions, even fresh memories . They have some kind of a very light emotional abstract wind without any judges and conclusions. As I can guess that she is introverted feeling type. But mainly because of inferior function: during anxious days or ill time – it’s obviously primitive extraverted thinking. A beautiful video, Mark. I have 13 albums of my own to share with my daughter. We are working on getting them down to 1 album for her and 1 for me. So hard, but I have no Memories in my car model. My partner has Memories as Driver, so I deal with this all the time. He owns thousands of movies and enjoys re-seeing them over and over. I like to see a movie once except for maybe my top 10, then I like to move on to a new experience! Nothing to do with your video, but I am ENTJ and he is ISFJ, and so we share no cognitive functions. I like to say that together we make one whole person, ha ha. Definitely challenges and lots to learn from each other — but also stimulating. I like to learn new things every day, which is why I am an editor. I don’t think I will ever understand everything about him, heck not even most things!~ even though I keep trying. ENTJs like to think they know and understand things (ha, ha, we don’t, we jump to quick answers, don’t always do all the research we should, etc.). Back to your video: We need the past, love the past, honor the past, and use it to understand who we are and where we came from, even if it is intuitive only and we don’t know all the facts. We can glean a lot of feeling from old photos — even overwhelm as you said — even when we don’t know the person, place, or story, and that can bring deep knowledge and intuition and wisdom with it. THANK YOU! I don’t know why but I love this video so much. Maybe it’s seeing the love and attention you’re giving to your loved one’s belongings that touches me so. I’m an INFJ, so keeping things doesn’t interest me much either. Yet, I find myself keeping most of my childhood belongings at my parents house. I basically have all the toys I’ve ever had. I believe I’ve hung onto them because my mother values them a lot. She’s an ESTJ, so she has kept it all like a shrin to my childhood-stashed away in a closet or the attic. It’s cool to revisit at times, but I’d be okay with letting it all go (as long as nothing is ruined or broken) to make room for my journals I write in and reflect patterns within. I’m now trying to see how my 3 yr old Se shows up as a heavy weight. I think it’s with food. I have grand idealized dreams for how to take care of my body, but Se shows up as just wanting to eat everything or nothing at all. Interesting how this archaic / hidden aspect of our personalities influence us so strongly. Thanks, Joel! I love it when you guys do videos like this! I get the same with old photographs. Even the ones without people, just the way the streets were….people walked on those streets in a completely different time, experiencing completely different things, it wonderful. I remember seeing my parents wedding picture when I was younger (maybe around 10ish?) and thinking “this was what happened. This was the time when my parents joined”, they separated and divorced when I was younger but a part of me now is glad that I have the memory of that picture – not because I wish they were together (I’m very glad they’re not) but because it’s something that once happened and it made life experiences out of it – I came as a result of it! haha. It’s good to hear about how people without SI approach these things. I’m an INFP…most likely. I’d say not to throw away all the ones you don’t want, libraries should have wonderful resources like that. I love to get rid of things. I move often and purge with glee, but the few family pieces I’ve let go of in an impulsive moment haunt me. Not because I had any attachment to the items, but because each item spurs memories of the person who owned/created it. I also think that I’ve let down the family in some small way by not cherishing a piece of our collective history. I always test as INTP. I’m an INTJ, so introverted sensing isn’t even in my stack. But, here I am, I did family history and shared it with cousins and my brother on ancestry.com. I’m currently working on my husband’s family history. I must admit, I felt a twinge of envy seeing all those carefully preserved, organized, and marked pictures your grandmother put together. What a treasure trove! Most of our family photos have been lost. Family history is our little part of human history. Enjoy the journey, Joel. You’ll be glad you did. Hi Joel, I am an ENFP and I totally relate to your experience! When my father died and my mother moved out of our childhood home, and again, decades later when my stepfather passed and my mother moved to assisted living I felt a lot of conflict between that sense of responsibility to preserve memories (that weren’t even mine) and ownership (of things I didn’t need). Initially, it was a sense of being OVERLY responsible IMHO…like a 3 year old overfaced with a project. 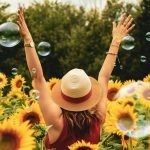 Gradually, with the help of a mentor, I was able to use my authenticity to “keep” what resonated with me as authentic and to let go of the rest. I felt best when I could allow things to be “rehomed” where they were truly wanted and authentic for that next steward, whether it be pictures with another family member, items with someone excited or grateful to get them, clothing for someone that needed them, that sort of dynamic. And, I “let myself off the hook” realizing that love is always a gift, not a burden. Great video!!! Thank you. I haven’t even begun to think about physical items. I know my parents have a bunch of antiques and things that someone should preserve. Neither myself or my brother are likely to take in these items for preservation. Thanks for sharing your story Louise. I am an INFP, and just starting to learn more about my cognitive function stack. With Memory as my 10-yr-old function, I’ve been having a hard time identifying it in my life because I wasn’t sure exactly how it was defined. Now I see that it manifests itself in my journaling. Since I was young, I’ve always enjoyed journaling all important moments in my life, especially those with great emotional value. While this is mostly to satisfy my driver function, Authenticity, I think my obsession with keeping and rereading my journals has more to do with Memory. All of my teenage-drama years live within these entries, which also include a lot of painful memories. I’ve had close friends tell me that it’s unhealthy to keep and reread everything, that I’m living in the past. However, my impulse is to maintain these records to make sure I remember where I’ve come from and ensure that I learn from my own mistakes. I always wondered why that was so important to me. Thanks, Joel! Yes journaling. I did this too. Not everyday life – but big trips or family events. Again – I felt a sense of responsibility to do it. Someone needed to record the events I reasoned. Totally identify with what you’re saying. Thanks for sharing Cailyn. I think I’m an ENFP.. we’re in the process of moving and I’ve been sorting out old boxes. I’ve seen things from childhood, high school, college, and early married life, first kid born and I do get overwhelmed. It’s like you said, a feeling of “burden” and responsibility. I’m actually quite good at getting rid of stuff and purging (Te? ), I’m the opposite of a hoarder. I think partly because I feel like it’s too much and it pins me down. I don’t take a lot of comfort in looking at the past. I always feel like I recoil, even if it’s good memories. I’m wondering if it’s because I know at that point in the past I wasn’t “tuned in” or, it feels like grasping at straws since it’s my blindspot. It’s like trying to fit broken pieces of glass into my life now, and I don’t know how to make sense of it.. why it matters to who I am. Authenticity of course helps tremendously. I definitely underestimate Si as a way to understand myself. I recently got in touch with an old college roommate. We were not roommates very long or super close but we both have fond memories. We were able to catch up. She was in a bad place when I knew her, recovering from addiction, so I was glad to see she is doing well. A few days ago I was sorting through my stuff I found a letter from her from college, and a photo. If I had NOT heard from her I think that small tidbit would have felt … I dunno… weird. Like Ne would be dyyying to know what she’s up to, not out of a relational need but curiosity. I think I immediately connect the past to the moment… so Si on it’s own feels.. haunting? or something. I also had a chance to look at art assignments from college, and saw the progression I had from armature to mastery (totally Si right?) I cringed at assignments I had struggled with, but the great thing is it was a reminder that I was really good at drawing. It reminded me of WHO I am (Fi)… I realized I have been under-utilizing this skill as a graphic designer- Te makes me too pragmatic. My INFJ sister got me a drawing book to help me unleash Fi a while ago and looking through my old art (Si) has made me more sure of myself as an artist (Fi) and less dependent on Te (what works?) It’s so easy for ENFPs to find confidence in Te over Fi isn’t it?? This helped me see that more clearly. Ne and Si are both searching and looking for clues I think? I look constantly at the patterns now and emerging, so Si feels so stagnant and suffocating. It’s so strange how our blindspot is a burdensome creepy place for us, but it’s helpful to use it on occasion. Rachel. Thanks for your comments. You mentioned old college assignments… I still keep mine in a file drawer. Hahaha. I don’t know what’s wrong with me. But for some reason I keep them. I also cringe when I look back at past college work. I intend to go through my files and purge these one day. I think it is an experience I want to have. For example… when I’m ready to dump all old college work I want a day to look through it first and reflect. It’s got to be honored in some way. My Introverted Sensing is so weird. As an ISFJ, my first reaction to your grandmother’s albums was one of admiration and appreciation for the level of detail she devoted to documenting her family history. It was a big thumbs up moment, “Awesome job, Grandma!”. I cringed when I heard you say you were THROWING AWAY some of her valuable work. However, I find myself in a similar predicament as keeper of our family’s photos and memorabilia. My INFJ and INTJ children have no interest in saving these items. It pains me to think of the death of this part of my family as they have no plans to have children and so none of the history would be passed along to another generation, perhaps another ISFJ? 😉 (I had saved their favorite toys and books to pass along to their children but have recently come to terms with the futility of it all and have begun selling or donating these items.) I am glad that you find some of her work valuable to you, personally. I agree with Brooke that the unwanted albums should be donated to a library, university or local museum for historical purposes rather than literally thrown away. I enjoyed the video. Best of luck sorting through the albums. Thanks Becky. I remember my grandfather’s first cousin passed away at 102 a few years ago. He had no “next of kin” so some of my family was tasked with cleaning out his house. I think he was an ISFJ and he saved EVERYTHING. Not a hoarder – but did keep a lot of items. I had the same thought as you and Brooke… why not donate many of his items to a local museum or library for his community to use. I wasn’t in charge of the clean up and was living in a different city 3 hours away. So I doubt the family members cleaning up took my advice – but I agree that things that matter shouldn’t just be tossed carelessly. I think when memory isn’t high in the cognitive stack, people will save way to much “stuff” because they need to actual see something to bring it back to thought. My wife is an ENTP and she saves everything that I would most likely throw away. I am an ISFJ. I get rid of things all the time. It is a challenge to work together as a couple so I don’t throw something out that I consider “insignificant “ that she wants to hold on too. When I ask why she want to keep the item ( and in many cases we have many more than one of them ) she is not sure why. She just wants to keep it. After years and years of not using or looking at it, she still has a difficult time getting rid of it. I really love the way you and Antonia have helped us understand who we are. Please keep doing the these informative videos and Pod casts. I am an infp and my sister an infj, and we always enjoy seeing how similar we are and yet how different that one letter makes us. Listening to your video and noticing that memory is my 10 year old, but it is nowhere in her stack reveals, for the first time, why it is that I have a zillion items riddled with nostalgia, whereas she throws away older things (including toys that were precious to me, that I passed on to her out of love) the way you would throw away an orange rind. Really interesting. Oh. My. Goodness!! ? Joel you are not just “capturing your family’s history”! Please, you have in your possession a goldmine for historians and anthropologists. My god authentic documents from the 1800s. Stop throwing things away! Okay you say you hold onto keepsakes and toys, those are examples of when you might be on the border of hoarding. Typically, mementos with faint sentimental value or things held with the distracted thought I might need or find some use for one day (especially cheap and easily replaced items) get tossed with ruthless regularity and great pleasure as well. But historical photos of buildings? Your wonderfully organised grandmother is some civil servant’s dream come true. I am talking about historical societies or libraries. The federal employee who evaluates and designates property or land as historical landmarks to be under federal protection relies on clues such as those carefully preserved by your wonderful Grandmother. I saw hardly ANY useless items for tossing Joel (depression era stores of tin foil or bundled string, etc) please! DO NOT throw away anything else until you have it all appraised by an antiques expert and/or offer to donate/sell to local academics, etc. Fantastic. Congrats, though sorry you lost your grandma. What a parting gift though. Wow. I am an INFP. Seeing those really old and detailed photos, I feel thrill. Cannot imagine how cool that would be to me to see and feel that even closer. I hand’t Seen before that many so old photos gathered together so carefully. This is a real piece of history in your hands. I think I feel like this could be a way to feel like going back in time a little bit and my copilot exploration is also there for a big part of the thrill I see in that. I love really old stuff with old feel for that same reason. Thank you very much for sharing. Feel free to share more with close photo captures. I so much love that kind of things. This is so cool! Thanks for sharing how you are processing that huge archive of photographs, clippings and memories. I can only try to imagine what that is like to for someone with inferior Si to tackle. It’s apparent that your grandmother put so much work and love into those albums. Even as a stranger and with Si as my tertiary function, I find myself feeling a little pinched to think that they could have been tossed. I’d say you are handling it like a champ and I doubt very much you will ever regret confronting your Si on this one. Beautiful home place by the way! 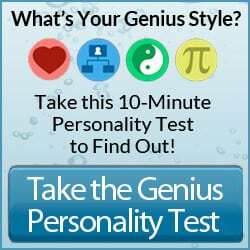 As I was watching this it got me to thinking about my father-in-law, he is mostly likely an ENTP. He has an office that he has been needing to get cleaned for as long as I have know him. He is a bit of a hoarder(not to the extreme of unsanitary living) , its not an emotional attachment more of a I might need this some day I can’t throw it out. I think that is where the difference of a T(e/i) dominate vs a F(e/i) dominate really comes up. I think it would be a very interesting thing to contrast how the different cognitive functions influence each other in their behaviors with in types. You mentioned about your personal responsibility to keep things in tact, while an ENTP would be more practical of keeping things they might need someday even if it is a bit far fetched. In the case of your grandma a mostly likely ESTJ, her memory was her growth stage it is very obvious to me it was heavily influence by her Te(effectiveness) of keeping this organized. This is an observation I have because we are all individuals and have these functions, and they influence us in our personality. The function for each of us are molded by each other given our own personal experiences. As am INTJ I don’t keep lots of things around, the last time i moved, literally all my stuff would fit in my car and just a few large things in a truck. I regularly go through thing and get rid of unnecessary things. But what I do have serves a purpose. But one of the thing i admired about your Grandmother photo albums was her attention to detail to preserve the things so other would know who, what, when, and where the significance of those events. I recognize that too. I’m also a saver. INFP though. Thank you Dani for sharing. My older brother got engaged to a woman he had been with for about a year. At the same time, my partner and I had been together for almost 3 years an we spoke a lot about our plans to get married at the right time. My mother offered my brother our Grandmother’s wedding ring for their mairrage and I when she told me this (in a very casual maner) I felt like I was going to throw up. It didn’t feel right to me. I couldn’t believe that she would give this important peice of family history to a woman that she had never met (my brother and her lived overseas). I raged at what felt unjust to me. Surely this ring, from my grandmother to my mother, should stay in the female blood linneag of our family! Though, the damage was already done. He had the band of the ring resized and had the diamond cut into many smaller ones to make his fiance’s wedding ring. It still tears me up to this day. Thanks Sara for the story. I get it. There are “rules” that we ENFPs know our “Memory” (Introverted Sensing) has that seem like they should make sense to everyone else too. Your mom must have had a good reason for this. You may not agree with her reasons – but I’m sure she’s got something that makes sense to her. Of course – your feelings are real so I get it. Bummer.